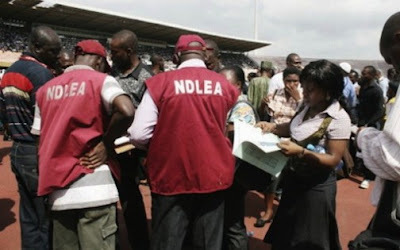 Katsina State command of National Drug Law Enforcement Agency, NDLEA, yesterday, sealed off three patient medicine stores as part of effort to reduce drug trafficking and abuse in the state. The State Commander of NDLEA, Maryam Sani, who disclosed this while at a briefing on it activities within the last three months, also said the agency has arrested about 108 suspects and seized 101.71kg of illicit drugs. Sani said of the 108 suspects arrested, four were females, while 11 were students of tertiary institutions and secondary schools, with three of them underage. She said: “During the period under review, 53.5521kgs of cannabis sativa was seized, 48.159kgs of psychotropic substances (Diazepam, Exol and Tramadol) were also seized, while 49.7 litres of cough syrup with codeine (translating to 497 bottles) were also impounded. The total of seizure is thus 101.71 kilogrammes. Sani called for the cooperation of government agencies, NGOs, traditional and religious institutions, parents and teachers to succeed in the fight against illicit drug trafficking and abuse.